Discord’s war on Steam (which only started after Steam declared war on Discord) is escalating. 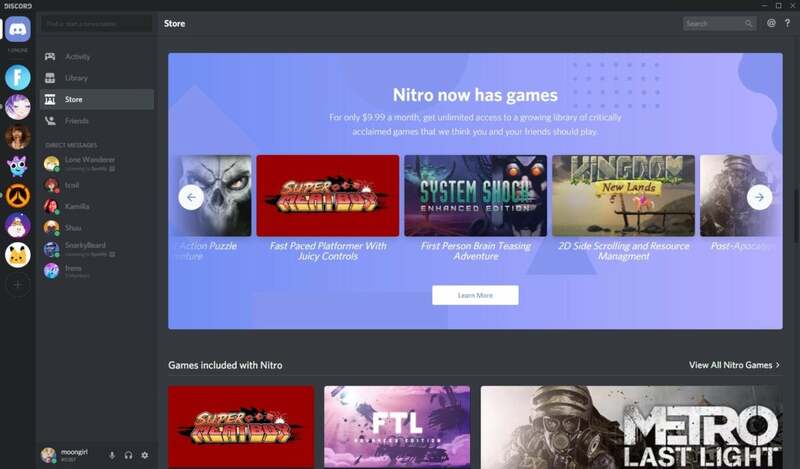 On Tuesday, Discord announced that its curated PC game store and enhanced Nitro game subscription service is available to all 150 million of its users in beta form, after debuting in Canada alone in August. The Universal Library tab—sort of a meta-launcher that lets you manage all your games within Discord—will also release globally today. The initial First on Discord games include Sinner: Sacrifice for Redemption by Another Indie; Minion Masters by Beta Dwarf; King of the Hat by Business Corp. Incorporated; Bad North by Raw Fury; and At Sundown by Mild Best/Versus Evil. “Being a First on Discord title is an opportunity to bring King of the Hat directly to our community in the place where we know they spend their time,” Ben Palevsky, vice president of Business Corp Incorporated, said in Discord’s press release. 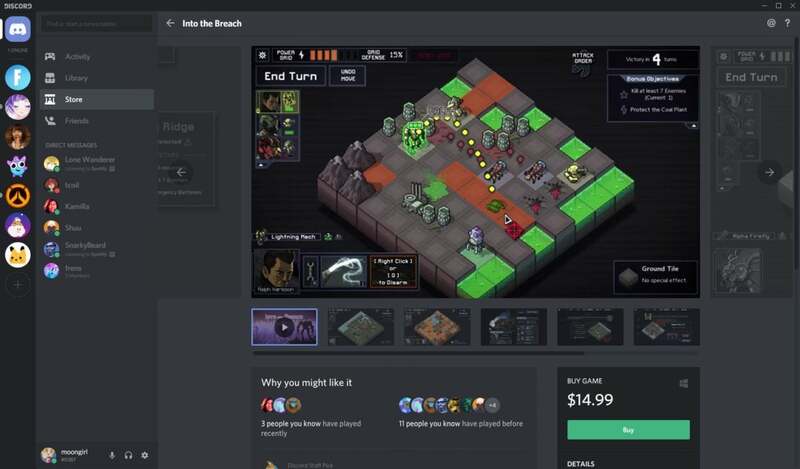 “It’s amazing to watch people forge new friendships while playing and for us to connect with that community in real-time in our official server.” We don’t normally include canned quotes in our coverage, but that one gets to the heart of why developers might consider launching on the Discord Store, so there you go. Perhaps even more intriguing is Discord’s Nitro subscription. Formerly a $5 per month add-on that got you specialized emotes and other chat goodies, the new $10 per month Nitro subscription builds on top of it with all-you-can-play access to a whopping 60 games. Most of them are indie or older titles, but you’ll find several damned good ones, including Soma, Wasteland 2: Directors Cut, Limbo, Metro: Last Light Redux, Brutal Legend, Nidhogg, FTL, Darksiders I and II, Super Meat Boy, Galactic Civilizations III, and a whole lot more. That’s a pretty compelling lineup for $10 per month, and Discord plans to add more games to the list as time goes on. If you subscribed to Nitro before October 10, Discord will bump you up to the game subscription service at no extra cost until January 1, 2020. Or, if you don’t care about the games but still want access to the chat-based extras, the older version of Nitro is still available as a $5 “Nitro Classic” option. You’ll find all the new stuff inside the Discord app. Interestingly, the overwhelming majority of games available in the Discord Store and Nitro appear to be singleplayer. You’d think Discord would lean into its real-time communications strength with more multiplayer games, but maybe its backend structure isn’t as robust as Steam’s. “With more than 150 million users, Discord is one of the few platforms that rivals Steam’s install base. Whether all those gamers want to actually buy games outside of Steam is a big question, though: Amazon, GOG, Humble, and Microsoft have tried to take on PC gaming’s 800-pound gorilla and all largely failed to shake up the status quo. If the Discord Store and Nitro subscription manage to generate even a little bit of traction, it could keep your personal data away from marketers. 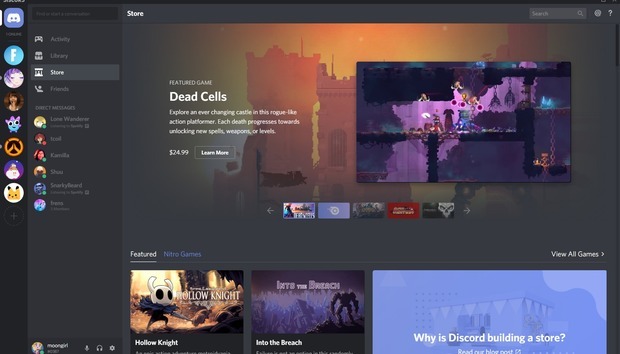 If even a small fraction of Discord’s massive userbase picks up some games or subscribes to Nitro it could give the company a huge revenue boost, and that Nitro lineup is awfully enticing. But most of these games are also available on Steam, and the pull of your entrenched Steam friends list is awfully strong. We’ll have to see which temptation proves more enticing.